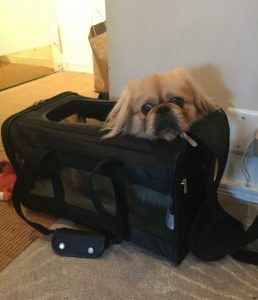 Edward the Pekingese rescue dog came to live with us a year ago today. He looked a little alarmed when we first got him home! Since then, he’s become very comfortable. Maybe too comfortable, considering he recently decided to use our bed as his personal bathroom. Bad dog! We still love him though!